Supporters of the ACLU Smart Justice campaign gathered in the LOB atrium after a public hearing on the transparency bill. Prosecutors, court officials, victims’ advocates, the ACLU and the administration of Gov. Ned Lamont are nearing a consensus on how to speed up the computerization of prosecutors’ case files and create a window into how prosecutors make decisions about charges, diversionary programs, bail requests, plea deals and sentencing recommendations. While some details still are subject to negotiation, prosecutors, the ACLU and others say they have agreed in concept to “An Act Concerning Fairness and Transparency in the Criminal Justice System,” a criminal-justice reform recommended by national experts and embraced by the Lamont administration as an early priority. In states where prosecutors are elected, campaigns now turn on the willingness of district attorneys to use data to examine their own offices for evidence of racial disparities or to analyze the impact of their policies on rates of crime, incarceration and recidivism. State’s attorneys in Connecticut are appointed by a Criminal Justice Commission. 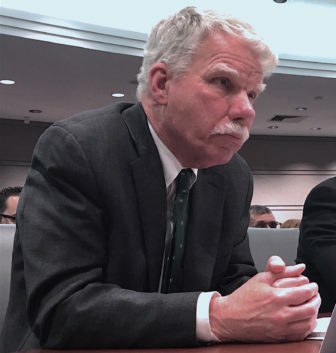 A revised version of the bill, which was offered by the Lamont administration after extensive talks with stakeholders, was supported by the Connecticut Association of Prosecutors at a public hearing Monday before the legislature’s Judiciary Committee, even though they cautioned that the measure is seeking to quantify what is not always easily quantifiable. Chief State’s Attorney Kevin T. Kane disagrees with Vera’s assessment that prosecutors operate with little oversight, noting that a prosecutor’s crucial decisions in Connecticut must be disclosed in open court, including the last plea offer made before a criminal case goes to trial. But he readily agrees that prosecutors’ work cannot be readily tracked or analyzed. “It’s not easily retrievable,” he said. The reason is that prosecutors in Connecticut may be the last of paper shufflers in state government. While e-filings are standard in the state courts, and public-defenders manage their cases online, prosecutors still wheel their case files to court. Kane is the longest-serving of the seven men who have served as chief state’s attorney, an office created in 1973 to provide coordination and support to the state’s 13 largely autonomous state’s attorneys. Prosecutors approached the transparency issue with a certain wariness, knowing that ACLU and Vera are looking for ways to quantify and assess how prosecutors do their jobs on the front end of the criminal justice system. According to a 2018 report by the Prison Policy Initiative, Connecticut now has the tenth lowest incarceration rate in the U.S., but still higher than any other state in New England and New York and New Jersey. Racial disparities in the prison system fell significantly during the administration of Gov. Dannel P. Malloy, but the ACLU says the state remained among the 10 worst when it came to disproportionately imprisoning black and Latino adults. Smart Justice wants data tools to examine the system at the front end, looking for greater transparency in the decisions prosecutors make. 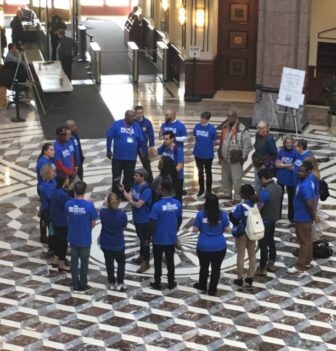 “Without data, it is difficult, if not impossible, to evaluate the effectiveness of the criminal justice system and understand why there are substantial racial disparities in the criminal justice system,” said Gus Marks-Hamilton, a field organizer with Smart Justice. Marc Pelka, the governor’s criminal justice adviser, said the legislation creates analytical tools prosecutors want, as well as giving outsiders a window onto their work. The absence of data collection disadvantages prosecutors when it comes to explaining their work to the public and legislature. “It was framed from the beginning as an approach to help prosecutors tell their story,” Pelka said. The governor has proposed increased funding computerization and a timetable for implementation that stretches to 2021, he said.